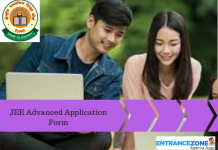 Haryana Polytechnic 2019 Application Form has been started from 15 April 2019. 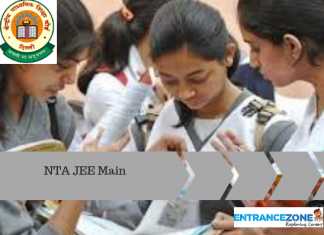 The Haryana State Technical Education Society (HSTES) is the main authority that conducts Haryana Polytechnic 2019 admissions. But this time for the admissions in the first year in the college and engineering pharma courses there will be no tests conducted. Tests will be conducted for the lateral entries. The admissions entries will be taken on the basis of inter-se-merit of the qualifying exam. 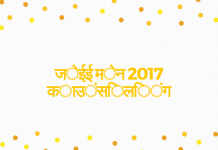 The following article will provide the necessary details about Haryana Polytechnic 2019. Tentative dates for DIPLOMA IN ENGINEERING AND TECHNOLOGY admission counselling is mention here. The step by step guide to online registration for Haryana Polytechnic 2019. Candidates are to register for the Haryana DET through online mode from the website. The application for the Haryana Polytechnic has been started from 15 April 2019. The entries for the application will close by 10 June 2019. Candidates have to keep a printed copy of the application form. and send it to the nearby collection centre or HSTES, Panchkula, along with a self-attested copy of all the required documents and fee receipt. Candidates have to upload the scanned images of coloured photograph and signature in JPEG in the prescribed format. The candidates must note down their unique application number which will be generated during process of registration. Corrections can be made by the candidates during the verification process at the designated centres. The printed applications need not be sent to the board. It must be noted that the application fee is non refundable. Candidates can make the payment online through debit/credit card or through e-challan of Axis bank or Punjab National Bank. There is no age limit to apply for these courses. Qualifying Marks: Candidates have to complete class 10th/SSC examination or equivalent examination from a recognised board. Minimum Marks Required: Candidates have to score a minimum of 35% and 33% for SC/ST/KM Category) in the examination qualified. Subjects: Candidates have to pass the examination in each subject of Mathematics and Science. 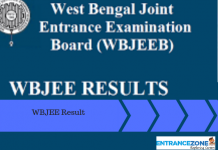 Criteria for Qualification (Lateral Entry in Diploma Engineering) Qualifying Marks: Candidates must have passed 12th Board examination from a recognised board. Minimum Marks: Candidates have to score a minimum 35% in the above examination. Subjects: Only the candidates with PCM as their subjects in class 12th can apply for this examination. Criteria for Qualification (Diploma Pharmacy) Qualifying Marks: Candidates must have passed 12th Board examination from a recognized board. Minimum marks: Candidates have to score minimum 35% marks in the above exam. The exam happens in online(Computer Based) mode. The questions are in English and Hindi language both. The questions asked will be objective type. The examination consists of 100 questions. The time limit given to solve the examination will be 1 hour 40 minutes. There will be no negative marking for any incorrect answer and for each correct answer 1 mark will be awarded. The syllabus will have Class 10th chapters and topics from Central Board of Secondary Education. The questions are from the parts like Mathematics, English, Science, Aptitude and General Awareness. Candidates can download their admit cards after the third week of May. The Haryana Polytechnic 2019 admit card will be available in online mode. No other mode will be available. Candidates will be suggested to keep their admit cards safe before and after the exam. Also, candidates will have to carry any one valid photo identity proof and one copy of 10th certificate. Haryana board will dispatch the result in the last week of May. There will no provision for sending results card now. Candidates should check his own. Results will be in online mode only. There will no other mode for checking the result of Haryana Polytechnic 2019. 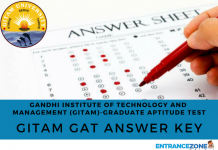 The counselling refers to the process of admission in which seat is allocated to the candidate on the basis of their rank or score. Counselling scheduled will be displayed one week prior to the commencement of counselling. Candidates have to fill course choices & colleges as per their preference. The counselling fee is Rs. 500. This process of counselling will be conducted in 2 rounds. On the basis of which seat will be alloted to the student. Candidates will be required to carry the necessary documents for process of verification. Following Documents required at the time of counselling of Haryana Polytechnic 2019. For more information, stay tuned with EntranceZone.